Choose your rest • Run Hard. Rest Well. Clarity. My friend Kathryn understood, with clarity, the purpose of her life. That understanding brought energy, delight, and focus to her days. These gifts can be ours, but too often guilt gets in the way. It’s a roadblock of monumental proportions. In the last post I mentioned there are eight roadblocks to rest. We took a look at six. Are you ready for number seven? Guilt routinely dismantles our rest. 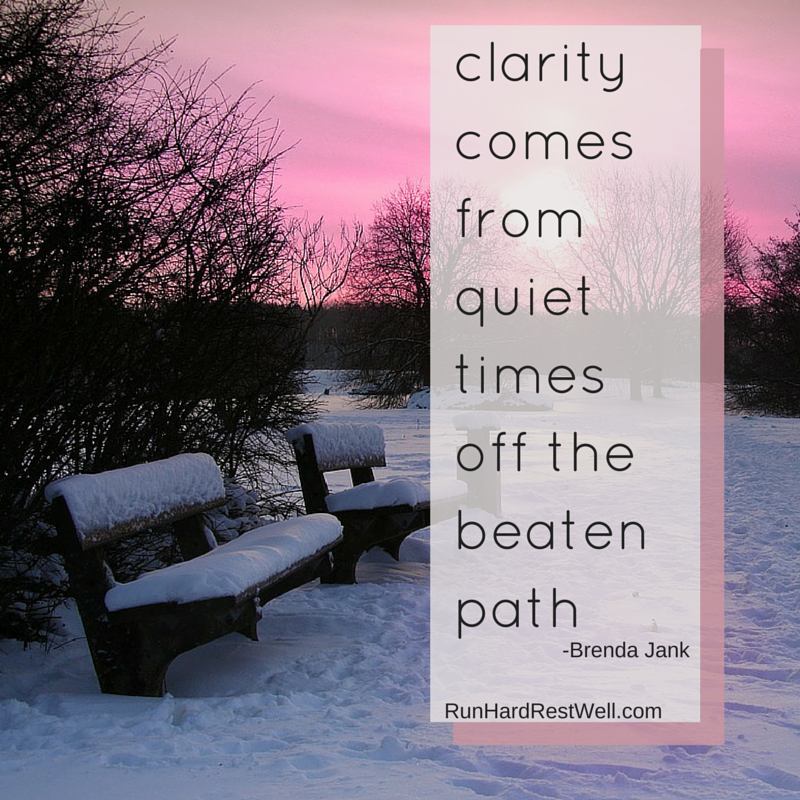 Guilt routinely blurs our calling, disrupting clarity and focus. Can you hear their intent to instill guilt? I can. The people waiting at the house had legitimate needs and a real desire to meet Jesus. Yet listen to Jesus’ reply. Were those people disappointed? Yes. Devastated? Likely. Did God leave them out in the cold? No, not for a moment. I do not know how, when or where, but God in all his sovereignty had a plan for their lives—plans to pursue, heal, restore. Maybe that timing was going to unfold 3 hours later, 3 months later or 30 years later. I don’t know. But God did. Will I trust him? Jesus did. What kind of rest will you choose? Much of my life was guilt driven. Yes, I loved what I did. I did it with joy. I wanted to do it. Looking back I see motives that embarrass me. Need for value. Need for acceptance. Desire for God to approve of me. Ouch! My health prevented me from becoming too overextended, but my anxiety in what I did….my push, my drive, caused physical problem that should never have been there. It is about the yeses and nos, but it’s also about how we handle the yeses we work out of. Thank you for these posts. They are coming at a time in my life when I need to reflect on this most. Wendy — May the Lord continually breathe life into you, your dreams, your burdens, your journey. Run hard. Rest well! I believe that God is using you to help the rest of us to remember to rest in HIM! Thank you there are so many times I feel over whelmed by all the things that need to be done. Federal & State Returns, grandkids to care for, kids to raise and run to their activities, physical needs of our old dog, meals to prepare with especial care to a gluten free diet, house to keep clean due to allergies of husband, girlfriend who needs a friend as she is going through breast cancer again, lost of a sister whom she was close to, a sister she has to care for and now the care giver of her mother. My prayer is that God give me the right words to say at the right time and to be a witness to her. All this while I take care of my health which has it’s own issues.